Integration has always meant a lot for us and to succeed the minimum requirement is to learn the language. We have also chosen to send the kids to a public school, instead of an international school. 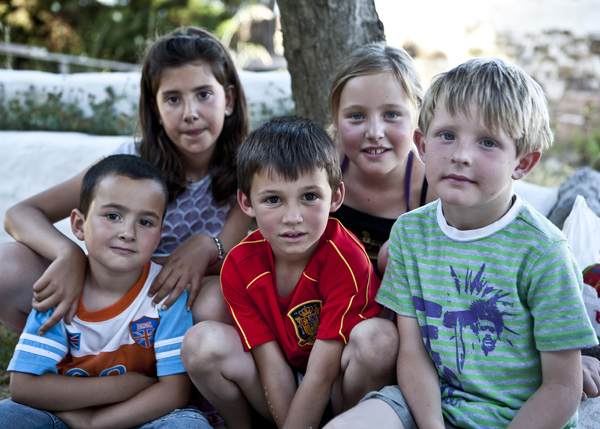 All the children from our village take the school bus up to Vejer, which means that our children, go to school with the same children, as they play with after school hours. This has meant a lot for the integration in the local community and we have so far been happy with their schools, even though it is very different from the Danish school system. Besides going to the local school, they also have after school activities. But the main reason for a good integration has been our neighbours. They have been overwhelmingly welcoming towards us and that goes for the Spanish people in general. They are very open towards foreigners, definitely an example other nationalities can learn from. The other day I was in the garden hanging up clothes to dry. Two boys passed by on their bikes. One of them is here from the village, the other on visit. Passing the garden, without being able to see me because of the garden wall, the local boy said: “David lives in that house…” after a pause ”.. – his parents are foreigners.” It made me so happy. I know that our kids are accepted as equals to their Spanish friends, but still, that sentence just made my day and assured me that the integration is going well. Breaking a front tooth, – or two…..